Pakistan Probe: Question rising whether Chaudhry Sarwar Joins PTI? Question rising whether Chaudhry Sarwar Joins PTI? It is the hottest news circulating in media this morning that decision has made by Chaudhry Mohammad Sarwar regarding joining PTI, and media says, he could be appointed as the president of Tehreke Insaf. Chaudhry Mohammad Sarwar recently resigned from as the Punjabs’s Governor. According to media reports, Chaudhry Mohammad Sarwar will formally announce his alliance with PTI, in press conference, today. At Bani Gala, the official residence of PTI chairman Imran Khan, a meeting was held with Chaudhry Sarwar, a formal invitation was issued for him to join PTI, where Chaudhry Sarwar put forward the request to be appointed as party president. the seat president of PTI remained vacated,, from the when Javed Hashmi was expelled from PTI because he was reluctant to march towards prime minister, during the protest called Azaadi March, back in October, 2014. Former Governor of Punjab Chaudhry Sarwar, will be playing a crucial role in organizing and strengthening the overseas sector of PTI. According to some media reports that Chaudhry Sarwar was also offered the Punjab chapter’s position of presidency by Pakistan People’s Party(PPP). 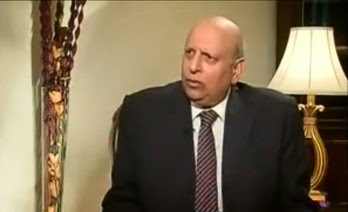 Before handing over his resignation to the government, Chaudhry Mohammad Sarwar overly criticized the foreign policy of government after the Obama’s visit to India rather Pakistan.